Each transaction is a marathon comprised of multiple sprints. Deals should be treated uniquely, taking into account their investment hypothesis, motivation and capabilities of stakeholders, market dynamics at the time of the deal and drivers for timing to close. Co-author of numerous whitepapers and a frequent speaker about biopharmaceutical strategy at industry conferences. Married father of two. 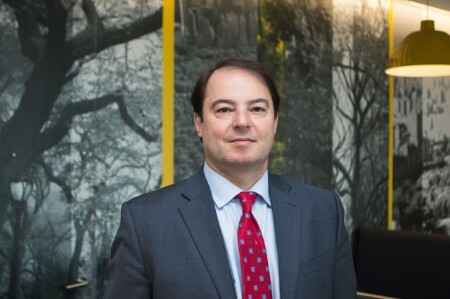 Arda is a Principal in Ernst & Young LLP Transaction Advisory Services (TAS), Operational Transaction Services (OTS) in New York with a focus on the Life Sciences sector. Prior to joining EY, he was a Managing Director at a strategy consulting firm for six years, where he led the Life Sciences M&A Practice. Earlier, he worked as a VP of Strategic Marketing and a BU Lead at an American medical technology company. He also served as the SVP Marketing & Sales for a startup biotechnology company which went public. Arda started his career with a pharmaceutical company in Istanbul and subsequently relocated to New York, where he held leadership roles in product commercialization and new product development. He earned a PhD in General Management and Finance and an MBA from Marmara University in Istanbul as well as an MSc and BSc in Mechanical Engineering from Boğaziçi University.